Why are you captivated by some people but not by others? Why do you recall some brands yet forget the rest? In a distracted, overcrowded world, how do certain leaders, friends, and family members convince you to change your behavior? Answer: fascination, the most powerful way to influence decision-making. It's more persuasive than marketing, advertising, or any other form of communication. And it all starts with seven universal triggers: lust, mystique, alarm, prestige, power, vice, and trust. 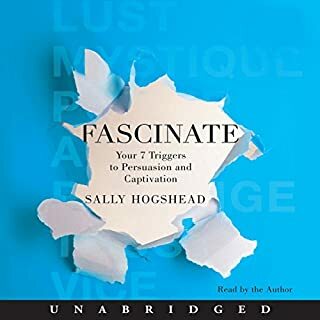 Hog your Head with Fascinate! 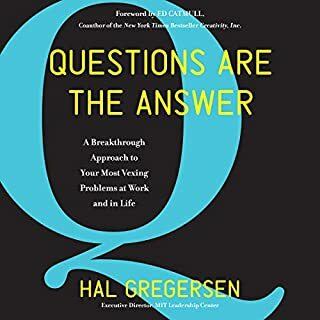 For innovation and leadership guru Hal Gregersen, the power of questions has always been clear - but it took some years for the follow-on question to hit him: If so much depends on fresh questions, shouldn’t we know more about how to arrive at them? That sent him on a research quest ultimately including more than 200 interviews with creative thinkers. Questions Are the Answer delivers the insights Gregersen gained about the conditions that give rise to catalytic questions - and breakthrough insights - and how anyone can create them. Elation, mood swings, sleeplessness, and obsession - these are the tell-tale signs of someone in the throes of romantic passion. In this revealing new book, renowned anthropologist Helen Fisher explains why this experience - which cuts across time, geography, and gender - is a force as powerful as the need for food or sleep. 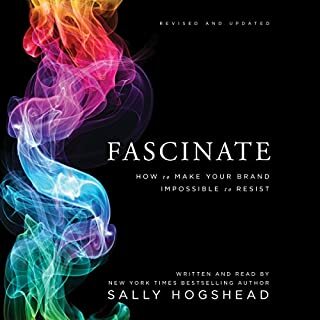 In How the World Sees You, author and personal branding expert Sally Hogshead applies the principles of fascination triggers to understanding "personality brands" - how individuals use different triggers to influence, persuade, and captivate others. Inviting listeners to take an online assessment, she then explains their results and helps them develop new talents, create more productive teams, and hire ideal employees. 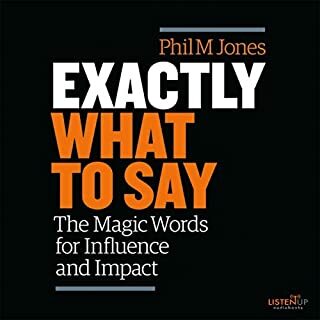 How the World Sees You coaches listeners to focus not only on their strengths, but on the distinctive qualities and characteristics that make them different, not just better. As she persuasively shows, Different beats Good ever time. PLEASE NOTE: When you purchase this title, the accompanying reference material - including instructions on how to access the referenced assessment test - will be available in your My Library section along with the audio. Where does How the World Sees You rank among all the audiobooks you’ve listened to so far? I give this book an 8.5 out of 10 because of the second person reading Sally's book. She is extremely dynamic and I enjoyed hearing her book, in her words. I was disappointed and bored by the second reader of the second half of the book. In fact, I skipped over a few sections where he was reading because the book lost its spark with his voice. She comes back on in Part 3 of the book, but so much critical information was hard for me to listen to because her male reader was so damn boring and clinical.Publishers need to get a grip and let authors read their own books. They have no realistic idea of how poor reading affects an audiobook. If you have a dynamic author, let them read their book! Which character – as performed by Sally Hogshead and Erik Bergmann – was your favorite? Sally, hands down is better at delivering her own research. Nothing against Erik, but he was wrong for reading her book. I was thrilled to see she was reading it and I have recommended the book to many friends. I am reluctant to recommend the audiobook because they used to readers who simply did not mesh well together. This author is obviously an authority in her field, and her method is right on the money. I would, however, recommend purchasing this book either on kindle or hardcover instead of audio. A third of the book is likely only to be scanned (since only a few minutes actually apply to any one individual), and there were several times that I would have liked to go back to an earlier section but was unable to do so due to the audio format. Also, there are very few authors who should be narrating their own books ... this is not one of them. The narration was average, and to do justice to the book should have been done by a professional narrator, in my opinion. 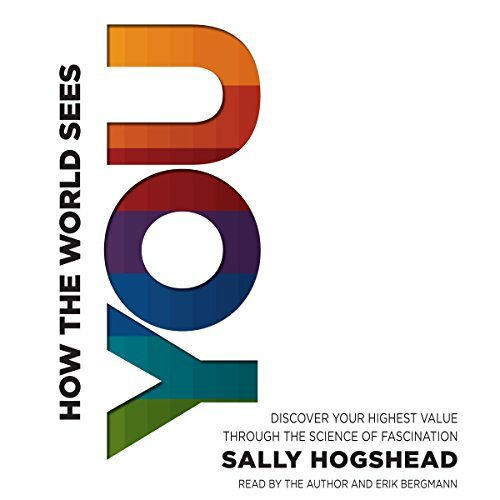 Would you consider the audio edition of How the World Sees You to be better than the print version? I didn't read the print version, so how would I know? I liked this book and the material well enough to purchase another book by the same author. 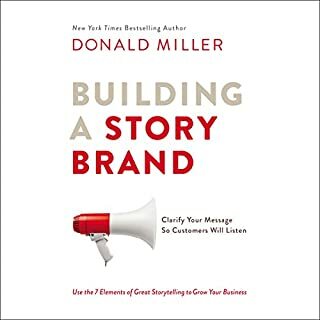 I think that Sally Hogshead does a fine job narrating, and anyone who is concerned about reviews to the contrary should listen to the sample before purchasing. I think most people will decide to purchase after that. This is a LONG book, but a great deal of that length is taken up by approximately 5-minute summaries of each personality type identified. The meat of the book is probably 6-8 hours, on par with other books like this. Finally, several reviewers complain that there is no code in the Audible version. I didn't notice it right away, and possibly earlier versions truly had no code, but the front of the accompanying PDF in my book (purchased mid-2014) had a code that I was able to use and actually take the assessment. So, despite what other reviewers say, there currently appears to be a code supplied with the Audible version of the book. Don't waste your time on this one. Take Keirsey's Temperament Sorter online (far superior for accuracy and insight), read Please Understand Me II (also Keirsey) and think through how you can cultivate a professional image around the traits it attributes to you. Would you listen to How the World Sees You again? Why? This is a very good book for any employees. I loved the concepts, some I already new others were refreshing. What about Sally Hogshead and Erik Bergmann ’s performance did you like? Provided excellent insight as I did deep to find my strengths. Using this along with Strengthfinder, Meyers Briggs, DISC to help me determine the best career path for me. Thank you Sally for your guidance! I'm loving the content, but I cannot find the access code anywhere. On the front of the .pdf is a link to harperbusiness.com/you, but there is no access there, just a site to buy the book. This is disappointing because I don't have any of the inside book cover list of the adjectives etc. Would you be willing to try another book from Sally Hogshead? Why or why not? Yes, I love the simplicity and applicability of the content. I'm not sure thought that I would buy it on audible if it has attachments. Did Sally Hogshead and Erik Bergmann do a good job differentiating all the characters? How? Dozens of examples for each character. 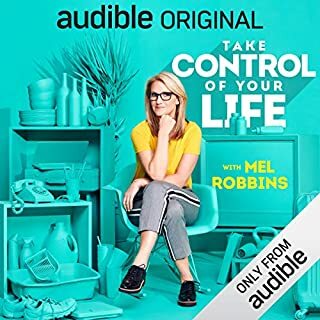 This has been one of my favourite audiobooks of recent times, as I had so many realisations relevant to myself and business. What other book might you compare How the World Sees You to, and why? As far as I know, it's fairly unique. Quite different to personality tests or general psychology. I had some big AHA! moments. A few laughs too. Sally is one of the best presenters I have listened to. Her style is great and very personable. I did not know what to expect when I got this book, but now I think it is essential reading. Great book that really opened me up to new perspectives. Sally reads it with great passion and is very fun to listen to. It'll be a great help to have this book with me in my back pocket and to look back on from time to time when I feel I need to be reminded what my, and others, greatest values are. It is however a bit long winded to listen to all the advantages being read, so maybe I should have bought the book. But then again it'll be good for future reference. At the end of the day it is a very informative book on a fascinating topic.